Shut up, don't ask questions. 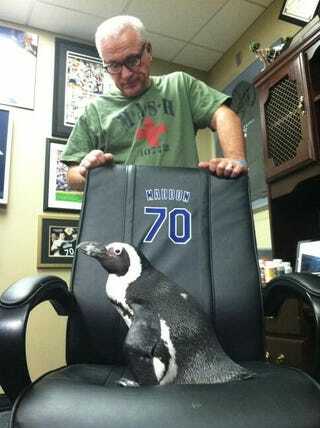 It doesn't matter why the Rays had a penguin running around in their clubhouse today. All that matters is that penguins are adorable.